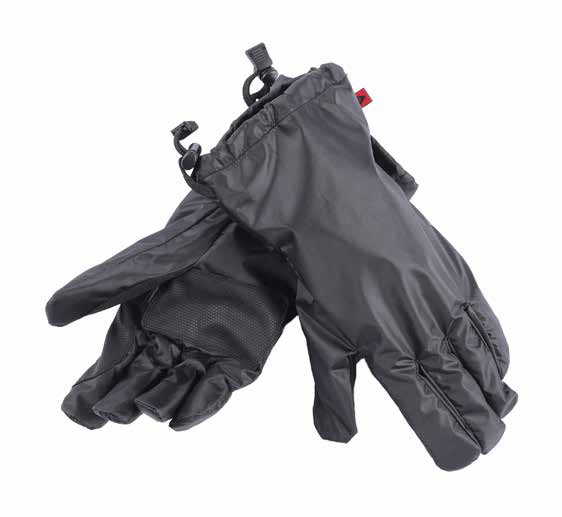 Even with GoreTex gloves, once they're wet the heat is sapped from your hands. Not anymore! This simple addition is easy to put on, keeps water away from gloves and hands stay dry and warm. I was sick of putting wet gloves back on the next morning, especially when camping and no drying facilities (Scotland, Ireland) Such a cheap and simple answer. Not for everyone, but longer distance tours need them in Europe.